I have been trying to work up loads for my S&W 625 & M1917. I have cast bullets using RCBS & Lee 200grn SWC moulds. I have been using Vihtavouri N320 & N340. With the N320 i have used 4,2 grn with an OAL 1.2"
I have got acceptable groups with this but with lots of unburnt powder. The N340 I have just given up using cast bullets, as I was getting lots of unstable bullets. Bullets hitting sideways, if they hit the target, whilst other gave an acceptable group. A friend loaded some of the 200 grn SWCpb bullets in 45LC and got 10s and inners rested at 25m. I also checked the weights and sizes of the cast bullets and they were all within a narrow band of weight and sizes. In your case, unburned powder can get under the cylinder star and cause problems clearing the cylinder. Except for that, unburned powder is NOT an issue. Your loads will be just as accurate with or without unburned powder. For accuracy, .45 Auto works best with fast powders, where N320 is about the slowest that works really well (Green Dot, Zip, 231/HP38, and N320). N310 might be a better choice. 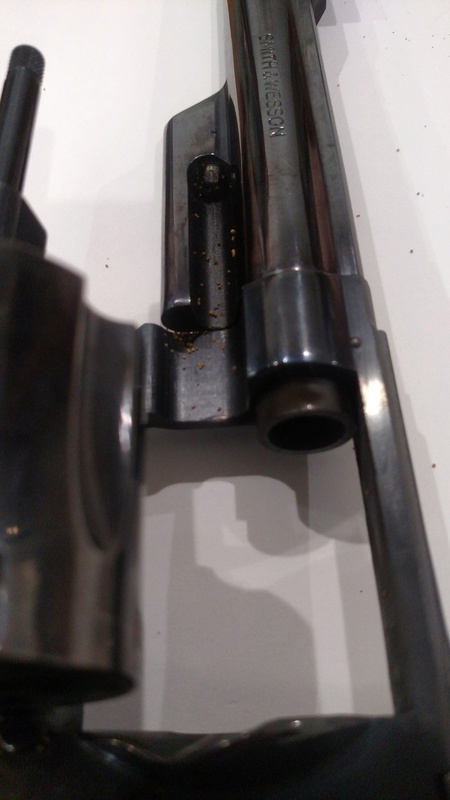 Next, you can use a roll crimp, if you aren't already, for your revolver loads. If your bullets don't have a crimp groove or cannelure, you can roll the case mouth along the bullet ogive. Your lead bullet issues could be due to them being too small for your guns. 0.454" (11.5316mm) might be a place to start. That and, if you have a source, try coated bullets. Your groups will improve and the load will be much cleaner if you will try 4.8 to 5.0 of the N320 with 200LSWC. This load works well for me. Unturned powder is usually caused by too low pressure. Increase the charge a few tenths, increase the crimp or change to a faster powder. N310 should do nicely in a revolver. Or try Nobel Vectan Ba10 or Ba9-1/2. +1 on using faster powders. In the 45, the fast burners like Bullseye, WST, Titegroup & VV N310 are the choices for accurate loads. The slower powders are meant for higher velocity loads, AKA "manstoppers". But I would think that N320 will still be OK. The first thing that came to mind when reading your post was "are you using enough crimp?" Bullets must be crimped to ensure proper ignition, and with the slower powders you mention not having enough crimp will leave unburnt powder. Fast burners need a crimp too, but a light to medium one. Personally, I like 3.8-4.2 of WST and a .468-.470 crimp. WST is great with lead bullets. Try it; you'll like it. 3.4 Vectan Ba10. Absolutely zero unburnt residue in the gun. Is 3.4 of Vectan similar to 3.4 BE? I will increase the Loads with the N320 and check how much roll crimp I am using. All this talk about Vectan and Vihtavuori for the .45 ACP... Please, American powders for the Colt, European powders for the Luger. Seriously though, aren't Euro powders almost twice as expensive? I think Vectan Ba10 is slightly faster than Bullseye and VV310. My opinion only, but published data seems to indicate such. I have been reloading the 45acp for 47 years and have tried most every suitable powder. Ba10 is far cleaner than anything tried. It is a single base shotgun/handgun powder from NobelSport. Country of origin is shown on the label as being from France. One half kilo containers on sale at Graf & Sons in Mexico, MO for $19.99. Six containers in a case. Haven't had time to chrono or Ransom yet, but every shot is exactly on call at 50. My load is 3.4 gr with Zero 185 lead swchp and .465 taper crimp with a .027 exposed shoulder. Winchester Large Pistol primers. Thanks......I'll pick some up and try it. 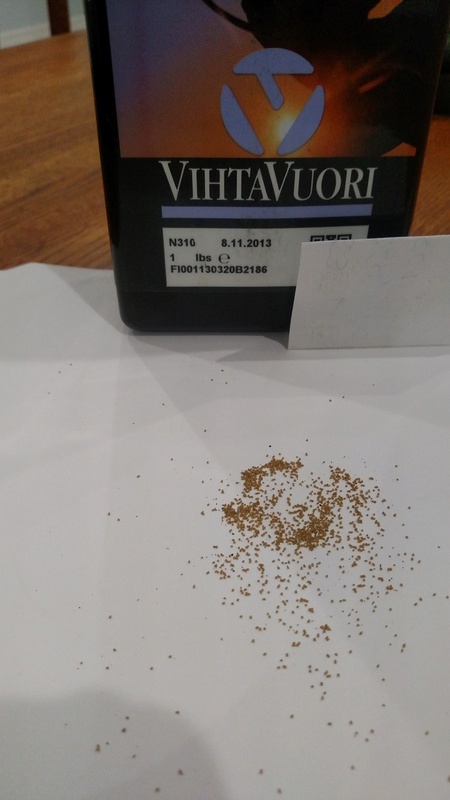 I have used VV N310 for 45 ACP for years, with excellent results. But recently , in the past year or so, I am getting a lot of unburnt powder on the shooting bench right in front of me. I do not know if the formula has changed or if VV N310 is made differently. I know that the new stuff does not perform like the old stuff and it costs more. I am switching to WST and I may try magnum primers as well. Is this what VV calls clean burning? These granules are hard and will jam a 1911 in about 50 rounds. RJP wrote: I am switching to WST and I may try magnum primers as well. What temps are you shooting in, I think VV is temp sensitive and may not burn as clean in lower temps. So that is where this is from..... things that make me go Huh ?